MAPPPD is a project funded by the National Aeronautics and Space Administration (NASA) in partnership with Oceanites and the Lab of Dr. Heather Lynch at Stony Brook University. Penguins are some of the most charismatic animals in the world and have captured the imaginations of news-makers, scientists, film producers and the general public. Beyond their general intrinsic value, they are considered important ecosystem indicators. That is to say, monitoring these beautiful species can tell us a lot about the general health of the Antarctic. This is because penguins are top predators, and changes (natural or anthropogenic) which influence the oceanography of the region or prey abundance, will ultimately be detected through changes in distribution or population size. 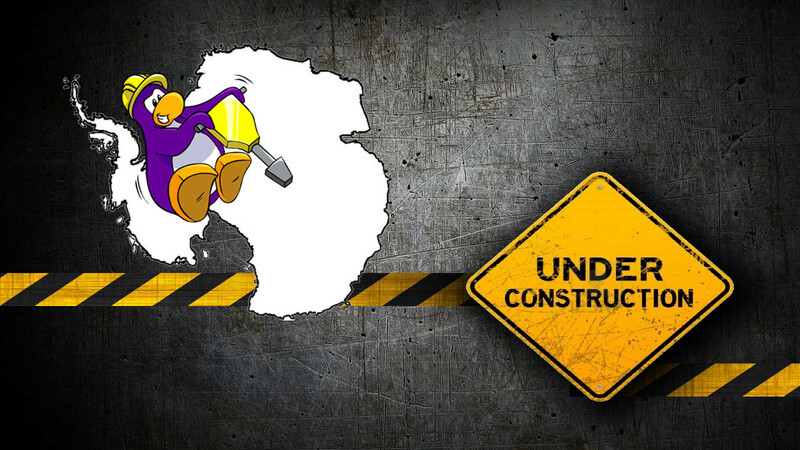 The Antarctic is currently governed by nations which make up the Antarctic Treaty System (ATS). Management strategies designed by the ATS rely on accurate and citable penguin population data in order to mitigate any anthropogenic impacts in the region. However, data on penguin populations are limited primarily due to the fact that most monitored colonies are nearby permanent research stations. This means that any remote populations are essentially ignored during planning processes. Due to advances in remote sensing, modeling and aerial imagery, it is now possible to obtain population estimates for these hard-to-reach sites. MAPPPD aims to deliver population data from four species of penguin to any interested party with the goal of helping support conservation decisions in the Antarctic. We use a combination of highly advanced remote sensing technologies, aerial imagery and field counts to estimate penguin abundance across the entire continent. All of the data in MAPPPD are open access to the general public, and the process is well documented in our white paper report. The Gentoo and Chinstrap population models, also developed by Dr Che-Castaldo, are still in the experimental phase and have yet to be peer-reviewed. Currently, they use the same algorithm as developed for the Adélie penguin, but will be updated in time. 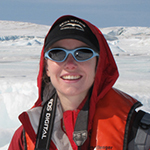 Heather is a professor at Stony Brook University and the principal investigator of the MAPPPD project. Prior to arriving at Stony Brook Heather was a student at Princeton and Harvard, then continued into a Post doctoral research position at the University of Maryland. She has a background in physical sciences and quantitative modeling. She coordinates and manages all aspects of MAPPPD to ensure funding agency expectations are met. Christian is a postdoctoral researcher and the lead modeler of the MAPPPD project. Chris has nearly a decade of experience in bayesian modeling techniques having previously worked at the University of Maryland with Dr. Bill Fagan. His role is to build the backend database of MAPPPD and construct population estimates and forecasts. Grant is a postdoctoral researcher and the lead web developer of the MAPPPD project. 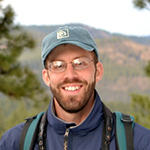 Grant's primary interest has been seabird ecology and spatial modeling, but has a decade of experience using machine learning techniques and programming with R and Python languages. His role is to build the front-end of MAPPPD in line with the needs of stakeholders. Michael is a PhD student at Stony Brook University under the supervision of Dr. Heather Lynch and the lead modeler for the occupancy data presented on MAPPPD. He is an avid birder with an interest in seabird ecology with a focus on quantitative methods. 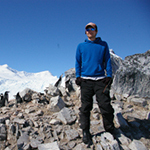 He has constructed a model which predicts the occupancy of certain species at a variety of sites on the Antarctic Peninsula. Phil is a PhD student at Stony Brook University under the supervision of Dr. Heather Lynch and is a programmer for the MAPPPD project. He is a computer scientist by training and has been working on combining a variety of penguin data with high performance computing techniques. He developed the original concept framework for MAPPPD along with Dr. Heather Lynch.